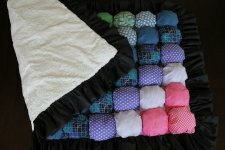 "I’ve been working for a long time on this puff quilt, I started it around Christmas time and it just kept getting pushed to the side. When we were little we had this great bubble quilt that our grandma made us, and I wanted to make one for Ada. 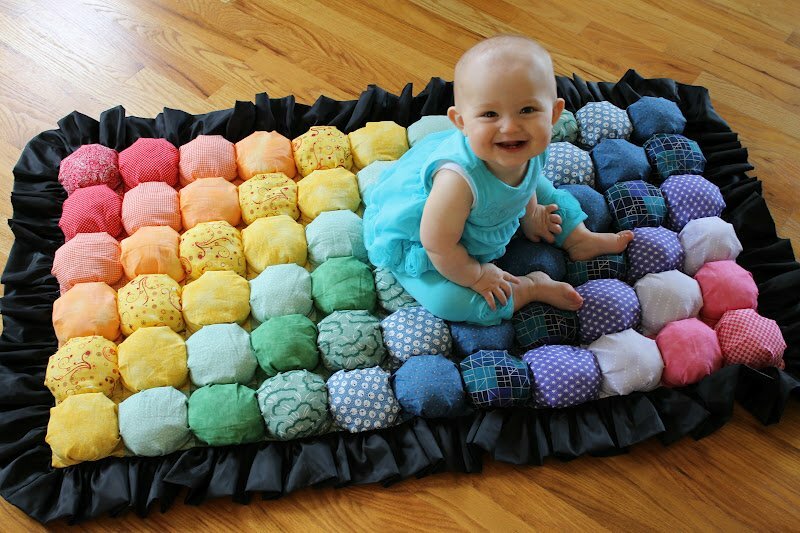 I only vaguely remembered what it looked like, so my puffs are much bigger, but it turned out great and Ada loves squishing the colorful puffs! I made a practice puff a while ago for my Puff Pin Cushion and kept the same dimensions. 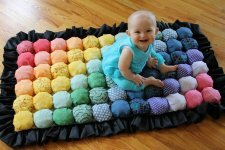 "The size I made is a little strange, it’s quite long and narrow, so for now we just play with it on the floor, but I’m thinking it would look amazing at the foot of her bed when we eventually turn it to a toddler bed."